​Big or small, young or old, we have the knowledge and expertise to keep your trees looking their best. 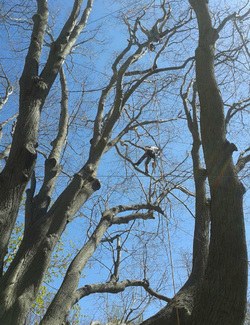 Sepe Tree Service has been a favorite tree trimming service company in Rhode Island , Massachusetts and surrounding areas around for over 30 years. Tree trimming helps the health and appearance of your trees as well as raise your property value. Sepe Tree Service is primarily focused on preserving trees and enabling RI and MA trees to grow stronger. Using our certified Arborist to visually inspect your trees' condition, along with the vast experience and practical wisdom we bring to each job, your trees will be happier and healthier than ever. We can accommodate you with regular Tree Trimming, or compliment your landscape with elegant, Artistic Tree Trimming services for home and business owners. Our tree trimmers and tree team staff understand how the economy has affected everyone, so we offer unmatched quality at a price we guarantee is more reasonable than you'd expect. Our aim is to do what is required to keep you in your budget limits without sacrificing workmanship. For younger trees, as well as certain small flowering and fruit trees, we concentrate on corrective pruning and thinning of live branches to improve the branch structure as well as to enhance the overall beauty of the tree. Sepe Tree Service looks for opportunities to correct poorly attached branches, twin trunks, and other structural problems through early pruning. For most mature trees, pruning is usually limited to the removal of dead, dying or diseased branches in order to maintain and improve the health and aesthetic appearance of the tree as well as reduce the risk of from dead or weak branches, which might otherwise fall and damage persons or property. In some situations, Sepe Tree Service will thin live branches from mature trees to improve the appearance of the tree or to improve light penetration to a yard below or to reduce branch weight. It is also common for us to prune low branches to increase the clearance of a tree over walkways or buildings. The main nutrient used in the growth of trees is nitrogen, and with other macro-nutrients, such as phosphorus and potassium which are not usually deficient in our soils. Fertilization activities usually focus on the addition of nitrogen as a supplement, or to otherwise improve tree growth. However, some trees may be faced with deficiencies in micro-nutrients, such as iron or magnesium, which may be corrected either directly through adding the specific nutrient, or indirectly through modifying soil characteristics, such as soil acidity. We do provide free estimates for our fertilization injections. If you want your neighbors to be jealous of your big beautiful tree in early fall when it still has its leaves and theirs does not, we recommend this! If you want your tree to be the first in the spring to have its leaves, we recommend this! This, of course, are the best known treatments, and for any tree disease we can not guarantee the result. We do recommend watering your trees before and after any treatments.